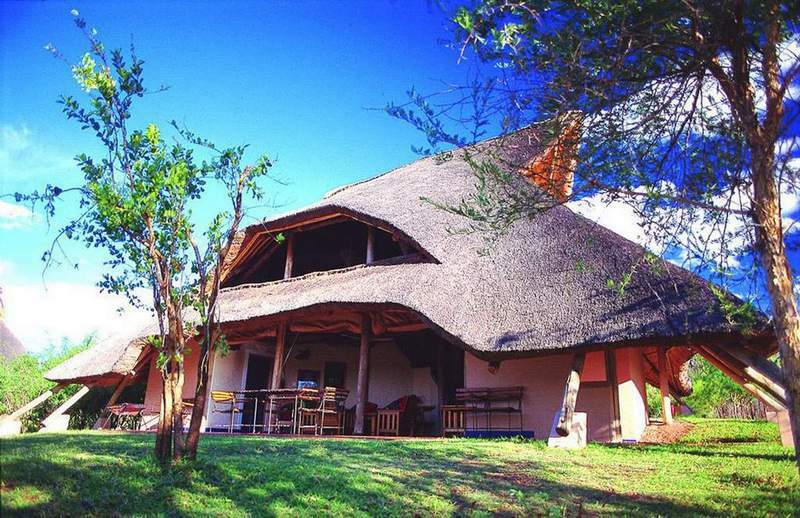 Lokuthula Lodges is a self-catering resort with 37 rustic thatched lodges located next to the prestigious Victoria Falls Safari Lodge. 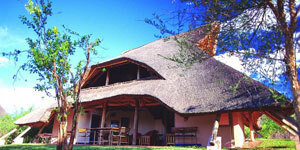 Lokuthula consists of 11 three bed roomed and 26 two bed roomed lodges, sleeping 6 and 8 respectively. The lodges are furnished in a riot of ethnic colours and fully equipped with everything a discerning guest would wish to find in an upmarket Lodge. 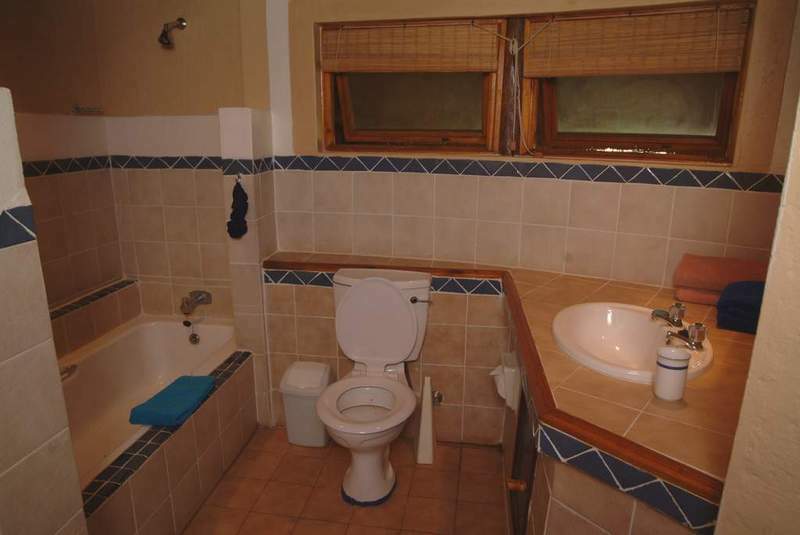 All lodges are split- level and open fronted with blinds, affording magnificent views of unspoiled bushveld. 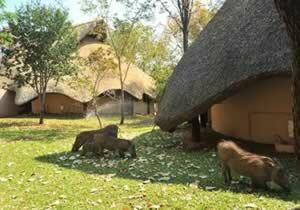 The lodges are serviced daily and all linen is provided. 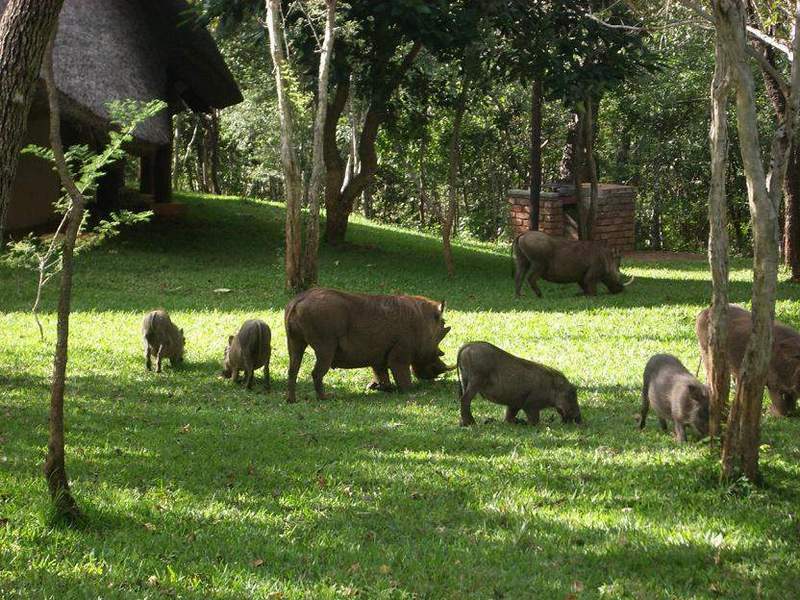 Each lodge is serviced daily by Lokuthula`s friendly and professional housekeeping staff. Three bed roomed lodges: 3 bedrooms - 1 double and 2 twins (of which one is a first floor gallery room), 2 bathrooms - 1 en-suite to the double bedroom, fully equipped kitchen, lounge, terrace and braai (barbecue) area, sleeps up to 8 people (2 on sofa beds located in the lounge). Two bed roomed lodges: 2 bedrooms - 1 double and 1 twin (which is located in the first floor gallery room), bathroom with shower over bath, fully equipped kitchen, lounge, terrace and braai (barbecue) area, sleeps up to 6 people (2 on sofa beds located in the lounge). Dining facilities include a poolside bar and informal restaurant serving light meals and snacks throughout the day, the award-winning open air Boma Restaurant, which provides an evening of Zimbabwean culture, entertainment and food to create an unforgettable experience. Facilities include a three tier swimming pool with children's pool, a children's playground and volleyball court. All lodges have safe deposit boxes, limited maids quarters available for rent by advance booking, 24 hour security and a medical air rescue service is on call locally. 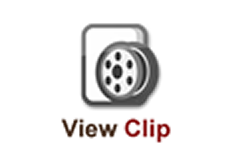 **Taxes can change marginally due to currency fluctuation or changes by the govt and by ACSA. Prices may be valid for SADC residents only - another rate can be given for non-SA residents.